Tywona Dupree, a former prostitute, tries to adapt to life as a newfound Christian. She decided it was time for a change when her life flashed before her eyes as her ex- pimp tried to pull the trigger that could've concluded her days on earth. She falls in love with a preacher boy, Devon, who introduces her to Christ but holds a secret that could ultimately ruin her life. LaNetreya is Tywona's ghetto fabulous cousin. She don't play by the rules. Her way of life is by getting involved with the wrong guys. She would break their hearts with no mercy until she falls for one of her secret lovers. A secret lover who has a history of gang violence. A secret lover who wants nothing more from her but nights of passion. She comes on to him too strong wanting more than just lust and it sends him into an explosive rage. Jade Molina White is the promiscuous stripper of the trio. She is friends with the two but, Jade and La'Netreya are the best of friends. They tell each other everything. Even their darkest secrets. Or do they? Jade has been living a whole entire lie. She kept the secret hidden and planned to take it to her grave. All that changes when someone from her past comes back into her life. He threatens to reveal her past to her friends so she decides to pack up and leave the state of Georgia. Three Females with three dark tales from the past. Can they put the test in testimony or will their test be the thing that fails them? Comical Love is the autobiographical love chronicles of a boy-crazy romance enthusiast and her ‘Nice Guy’ husband who’d she sworn was 'Not her Type'. Used to the fickle attention of bad boys, Jalissa Carter found the love at first sight crush and steely determination with which Jerome pursued her almost amusing. Comical Love is a light hearted, relatable, laugh out loud read, perfect for every girl with bad boy preferences at risk of almost missing Mr. Right. Jalissa Carter is a writer of Christian fiction. 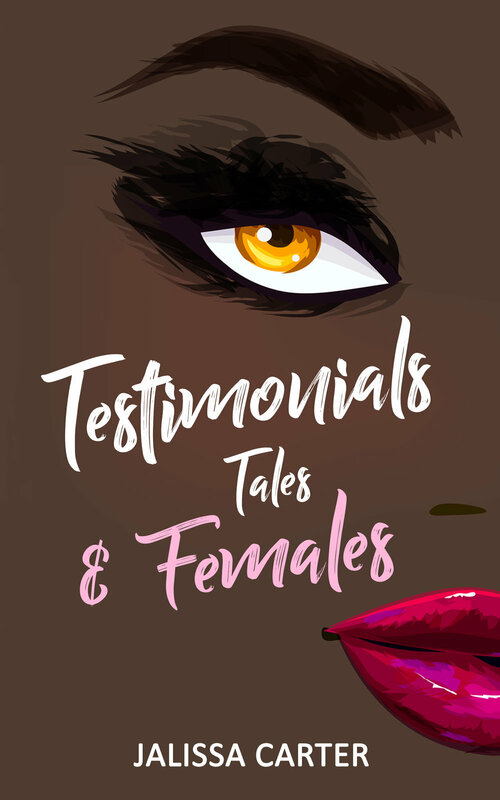 The novella, Testimonials Tales & Females marked her debut as an American indie author. She is the wedding business founder of Wedlope. The novelist loves working alongside her husband as a coordinator. When she is not preparing brides & grooms for their "I Do's" she is pinning wedding anniversary ideas to share with her high school sweetheart, on Pinterest. They currently reside in a charming mountain town of northwest Arkansas with their beautiful daughters and pet fish. 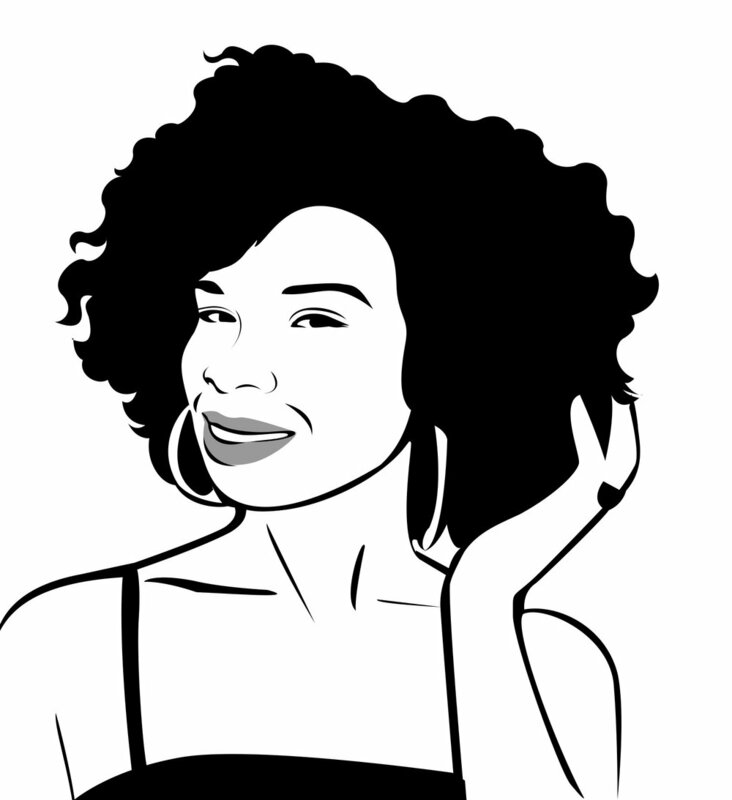 Sign-up for Jalissa'a Email Newsletter! Get updates on her writing, tours, and giveaways! Thank you for joining Jalissa's mailing list. We look forward to keeping you informed. For any queries, please feel free to get in touch with me at mrsjalissacarter@gmail.com, or open the form and fill it out below. © Jalissa Carter 2018. Design by Amrita.